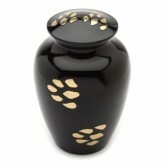 Our pet cremation urns are a wonderful and dignified tribute, and a very loving way to say goodbye to an old family friend. 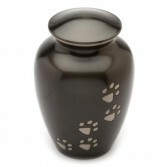 We stock a good range of pet urns that cater for any size of pet large or small and many different designs to, so you should be able to find an urn that will always help you remember your most loyal friend. 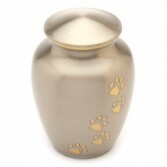 All these pet urns are made in exactly the same way as our adult urns, so you know that once you screw down the strong lid your pets ashes will be preserved inside, permanently.